Chapel Hill. The home of the University of North Carolina, Top of the Hill and Franklin Street. Anyone that has moved away from Chapel Hill has a strong desire to return. Those amazing Saturdays in the fall at Kenan Stadium or spring afternoons with the flowers in full bloom. Having lived in the Triangle for over a decade I can honest say that Chapel Hill is the best of the Triangle. That is the exact reason I have moved my social media and Internet Marketing company to the western part of the Triangle. If you have a business or company that would benefit from social media or internet marketing services please feel free to reach out to me at jwojdylo@gmail.com. I offer several monthly packages as well as consulting opportunities to help your business become the #1 brand in your industry. What are the Social Media Websites? Should I Pay for Social Media? Social media is defined as “websites and applications that enable users to create and share content or to participate in social networking.” In the last decade most people think of social media as Facebook, Twitter, Instagram, LinkedIn, Pinterest, Google Plus and others. What most do not realize is social media encompasses much more than just the big names. Did you know there is a social media site devoted to just real estate agents? Did you know there is a social media website that will allow you to make your very own online magazine? Did you know there is a social media website that combines ALL the social media websites? Ultimately, as a business, you must decide what is best for your bottom line. If you are the owner of Top of the Hill you may not be too keen on a Google Plus Business page but having a strong Instagram and Twitter presence would help with branding and getting out the best specials. If you own an orthodontist practice in Chapel Hill you may not care all that much about an online magazine but you would likely benefit from a Google Business page. These are all business decisions that must be made in order to fully optimize your Internet Marketing campaign. If you are confused as to what to do please feel free to reach out to me at jwojdylo@gmail.com. I have worked with many business owners in Chapel Hill, throughout the state of North Carolina and even across the country. Having clients in Miami, Los Angeles, Chicago and New York helps me to see what works in different areas of the country. With my residence being in Chapel Hill I am well aware of what people in Orange, Durham and Wake County are looking for when they access the Internet. When coming up with a social media and SEO Internet Marketing campaign it is best to look at all of the options available. Please understand that businesses do not have to use all of the aforementioned social media websites. When looking to grow a presence I would strongly urge businesses to focus on just a few of the social networks. If you want to fully optimize and get the most out of your Internet or website presence please feel free to reach out to me at jwojdylo@gmail.com. I will be more than happy to create a customized package that will help get more customers starting today. This is a question that only you can answer. Not every company needs social media. If you are the only dentist in Pittsboro there is no reason to have a Twitter and Instagram account. If you are the Carol Woods Retirement Community with a 10 year waiting list there is no reason to even consider a Facebook account. That said, if you are Sup Dogs on Franklin Street and you know a Twitter and Instagram account will increase exposure you should have your employees using these social networks. Look at your business and decide if branding and reaching a larger audience through social media is the right financial decision. If you have concerns as to how much you should spend or how you should proceed do not hesitate to reach out to me. I will give you an honest opinion on your industry. You may be better off with just an SEO campaign in which you push to rank in search. 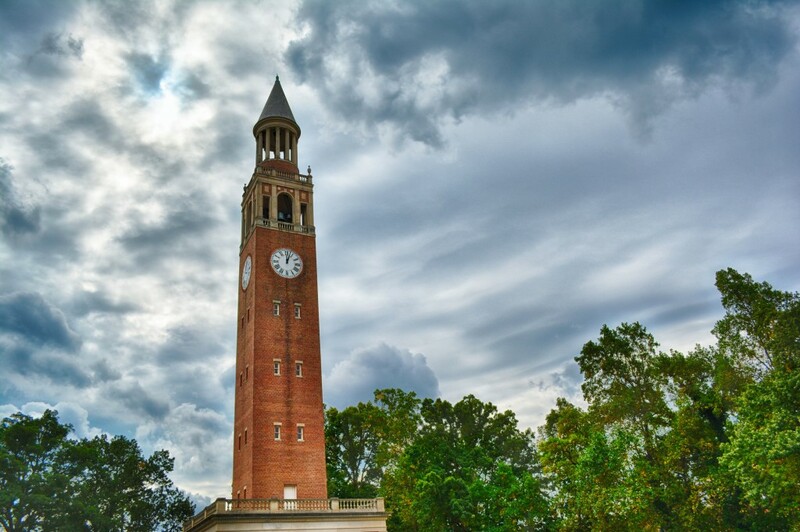 You may be better off paying for a TV commercial or an ad in the Daily Tar Heel. There are some Chapel Hill businesses that should continue to build themselves through word of mouth marketing. All that said, sometimes it is good to get a different perspective from someone that has worked with many different industries in many parts of the United States. When a business takes off on social media it opens many more avenues of financial growth. GoDaddy became a major player in website design because of one Super Bowl commercial. Sup Dogs has been an instant success in Chapel Hill because of their Twitter presence. My company has exploded because of a strong Google Plus following. You will never know what your business could become unless you give it a try. Contact me at jwojdylo@gmail.com today. We can meet at Meadowmont, off MLK or near campus on Franklin. Just let me know! How to Use Flipboard for SEO and Traffic | Do WordPress Blog Posts Help SEO? I have a draft of an e-book I would like to market on-line. I’m looking for an on-line marketing strategy that will really yield results…as opposed to the “come-ons” you see on the internet.